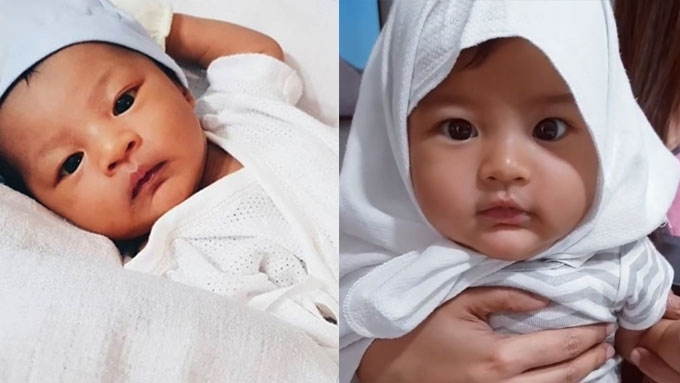 Carmen Intal, the second daughter of Bianca Gonzalez and JC Intal, is the latest celebrity baby to heap smiley emojis on Instagram. Instagram is filled with the cutest celebrity babies, and Carmen Intal is now officially part of the cluster. The second daughter of Bianca Gonzalez and JC Intal has been making appearances on her parents' Instagram feeds. Little Carmen has the same pair of doe eyes as her Ate Lucia and Mommy Bianca. And she has the same "chubchub" cheeks as her Daddy JC. Carmen and her Ate Lucia have the same bungisnigs smile, too! For their followers, Baby Carmen is like a mini Bianca. The celebrity host agrees, "It's like I'm looking in a mirror. Or at my baby pictures." Carmen was born on October 29, six days after Lucia's birthday.